The First Christian Church of Barnesville is part of the growing brotherhood of Independent Christian Churches and Churches of Christ (Instrumental). The movement was organized at Bethany, West Virginia, in the earliest part of the 19th century. Thomas Campbell, a Scotch-Irish Presbyterian minister, is credited with outlining the specific principles of theology that formed the fundamentals of the Christian Church and Disciples of Christ. In 1808, he came to the United States from England, and was joined by his son Alexander Campbell in the following year. Both of these men, along with Barton Stone and others, were instrumental in the development of the Stone-Campbell, or Restoration movement. From this movement evolved three distinct groups of believers: the Christian Church (Disciples of Christ), the Independent Christian Churches and Churches of Christ, and the non-instrumental Churches of Christ. This movement centered on two key issues. The first was a return to New Testament Christianity, and the second was the unity of all Christians. It featured such distinctives as weekly observance of the Lord's supper and a believer's baptism by immersion in water for the remission of sin. To this day, the First Christian Church holds to these two doctrines. The Stone-Campbell movement was first brought to the Barnesville area in the early 1830's by way of Wheeling. Zane's Trace and its numerous settlements were visited frequently by the Campbells. Alexander Campbell preached on many occasions in Barnesville and in surrounding areas. From 1833-1842, a local group of like-minded Christians met informally in different locations around the Barnesville area. In the spring of 1842, a revival was held in the interest of forming a Christian Church in Barnesville. 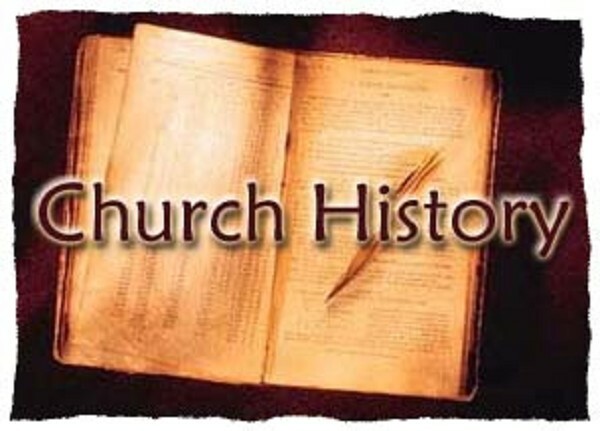 At this time, the First Christian Church was officially organized, ultimately becoming a congregation of the rapidly growing Disciples of Christ denomination. The church first met on West South Street, on a lot presented to them by James Barnes. They continued to grow and met in that location until 1856. In that year, the congregation purchased the old Methodist Church building at 219 West Church Street, moving to their current location. They continued to meet in that building until 1898, when plans were made for a new, larger church building. In July of that year, demolition of the old building was started. During this construction period, the congregation met in Hanlon Hall on Chestnut Street. On January 1, 1900, the church worshiped in the large Sunday school room, or Great room, of the current building though the sanctuary and other areas of the church were not yet finished. Upon completion of the sanctuary and building, the church held a dedication service on Sunday, June 3, 1900. Since its completion in 1900, the church building has undergone many changes and improvements. In 1914, additional Sunday School rooms were added, a baptistery was installed, and a pastor's study and choir loft were added. A dining room and kitchen area were added to the enlarged basement four years later. In the early 1960's, the ceiling of the sanctuary was lowered. Extensive repairs and remodeling have been made to the church in several areas since that time. In recent years, the downstairs was remodeled, the parking lot was extended and paved, new carpet was installed throughout the building, the original pews were refinished, and a new roof was added, among many other improvements. In 2000, the coverings on the stained-glass windows were replaced, and in the following year, the church balcony was reopened and the property directly east of the church building was purchased and razed to provide additional parking. A building committee was assembled in 2000 to design plans for a New Life Center to be built on church property, directly behind the church building. Ground was broken on this project on Sunday, August 1, 2004, and the building was dedicated on the first Sunday in June of 2006. This facility now houses all church offices, the Sunday school department, a Youth room, fellowship hall and kitchen, handicapped restroom facilities, a nursery, and children's ministry facilities. This building helps accommodate the church's current growth and ministries within this community. In 1992, First Christian Church celebrated 150 years of worship and service in Barnesville. In 2017, the church celebrated it's 175th anniversary with guest speakers and celebrations. On September 8, 1996, the congregation of of the First Christian Church voted to leave the Disciples of Christ denomination, becoming a completely independent and autonomous congregation. Since that time, they have been involved, though not officially, in the ministry of Disciples Renewal and Disciples Heritage, as well as the brotherhood of Christian Churches and Churches of Christ, while retaining an independent status. The church has enjoyed significant growth in the past decade, experiencing a nearly 70% growth in attendance and a more than tripling in financial giving over that same period. With a history rich in tradition and sound Biblical teaching, the First Christian Church now stands poised to impact the community for Christ, looking forward to many more years of service and growth in the Barnesville community--to the honor and glory of God. The current pastor is Ed Eberhart, who has served the congregation in the pulpit since November 1998.